Upon his death in October last year, the late great Dr. George Daniels left a significant amount of money in his estate to set up an educational fund to help watchmakers wishing to further their careers. The George Daniels Educational Trust has now been established to manage the bequest. The aim of the Trust will be to further the higher education of pupils studying or intending to study horology, engineering, medicine, building or construction. Sixty per cent of the Trust’s annual funds will be available for The City University, London, thirty per cent will be allocated to The Worshipful Company of Clockmakers and The British Horological Institute to jointly nominate people for awards, and the trustees will allocate the remaining ten per cent. The funds to be allocated to watchmakers will be available to U.K. residents wishing to further their careers in the watchmaking industry, its focus obviously on apprentices and students. The Trust will be managed by a committee made up of members of The Worshipful Company of Clockmakers and the British Horological Institute, who will both assess candidates and help administer the grants. 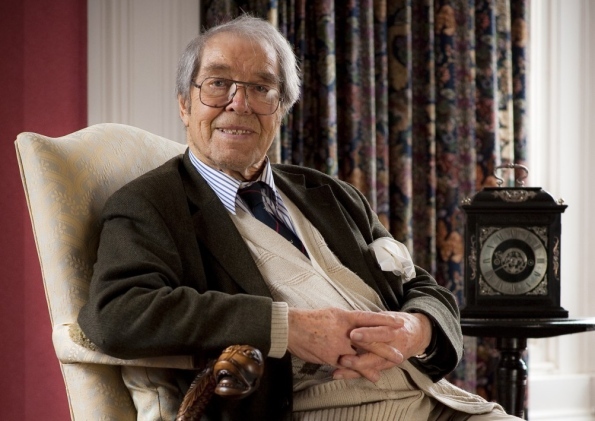 All proceeds from the sale of the November 2012 Sotheby’s sale of George Daniels’ personal collection of watches and clocks will also go to the Trust.